Gather all ye cheese devotees, roll up, roll up! 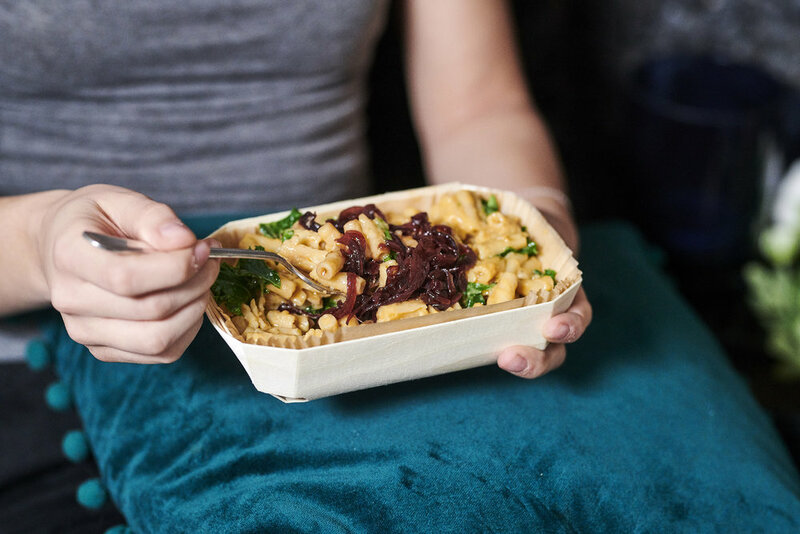 Our Mac & Cheese is so seriously cheesy it’s been dubbed, by an extremely serious bunch of verified connoisseurs (a.k.a our taste-testers), ‘THE most cheesy vegan Mac & Cheese around’! The mature cheddar flavour in this dream boat of a dish is seriously punchy and the sweet and sticky balsamic caramelised onions cut through it perfectly, breaking up the richness of the cheese sauce and making it all the more addictive. Plus we’ve added mighty kale to make us all feel a little better about wanting to eat the whole beautiful bowl… there’s 1 of your 5-a-day, yay! 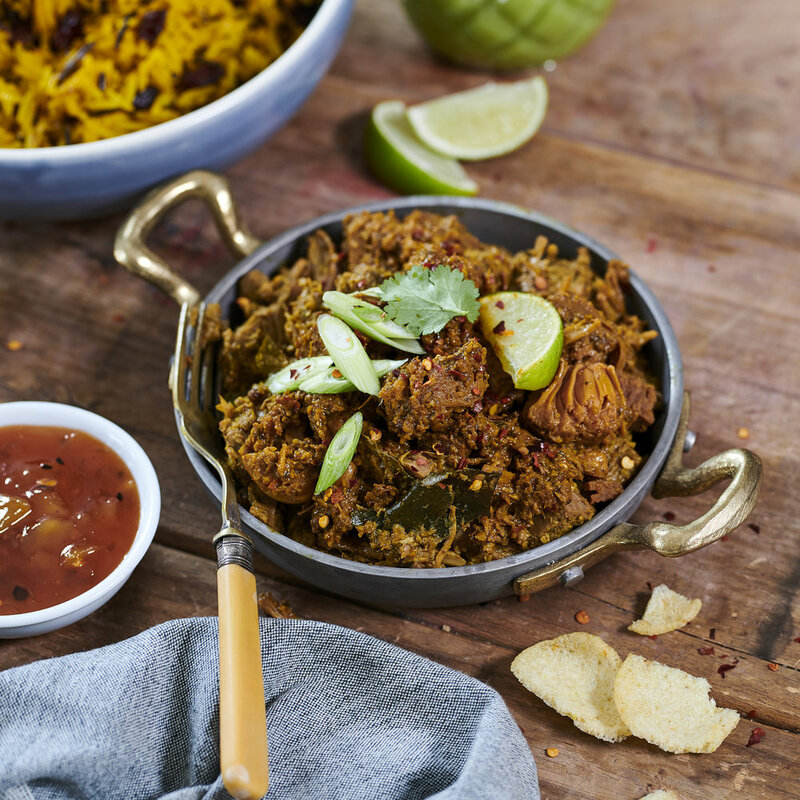 Great as comfort food, sofa dinner, a treat lunch with a side salad or as part of a party spread, this dreamy dish will soothe, delight and warm the cockles of your heart, while saving a good few cows in the process, too… everyone’s a winner. Allergen advice: this dish contains gluten & mustard. A general note on allergens: all our dishes are handmade in our small kitchen. Although great care is taken, we cannot guarantee our products will be completely free from any allergens not listed.